What are the implications of a future in which we can build a BRAIN. What is the Brain Computer Interface? Primarily and principally, this is a subject of computing or utilising computing or technological functions or facilities without having to use a touch screen, a keyboard, a mouse, a microphone or any other input device requiring touch or voice. The brainwaves or brain signals of the user are detected and interpreted by a computing device or system, allowing the user to interact with it, control it and utilise it. Why is the Brain Computer Interface important as a subject today? The technology is no longer in theoretical or philosophical stage. It has come into existence, with successful tests where control of robots and designing of 3D-printable parts have been successfully demonstrated. By Singapore’s Futurist Consultancy, Stratserv Consultancy‘s projection, the common consumer will be buying and using mass-marketed commercialised devices or machines with Brain Computer Interface capabilities or functions by between 2025-2030. 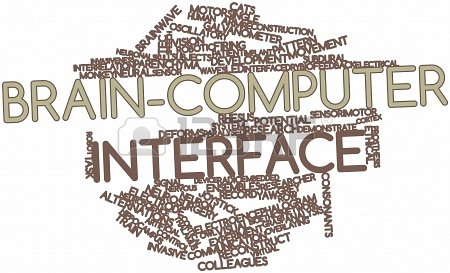 The Brain Computer Interface based devices will be used then, as laptops and tablets are used in the present day. Along with the mass-commercialisation of the Brain Computer Interface technology, the mouse and keyboard will heard towards further non-existence (a process already begun with the introduction of touch-screen computing used for tablets, laptops and smartphones). The touch-screen technology itself will begin to decline in its mass-usage with the mass-commercialisation of the Brain Computer Interface technology for consumer devices. Also according to Stratserv Consultancy‘s projection, this will happen along with mass-adoption of holographic projection or visual devices, voiceless communication technology & systems, HMDs (such as the Google Glass due for release any time within the first half of the current decade) and a myriad of other accessories to render all interaction with technology (computing, robotic and otherwise) quite literally a matter of thought. Cyber security is an important subject within the broadest spectrum of security in the present day, with the threat of hackers stealing information or spying on computer or Information Systems users. This threat arises from the ability of a hacker or group hackers being able to remotely access a machine or platform or system without permission to view or obtain information on it, passing through it or being relayed through it for communication. The same methods used for stealing or obtaining information as such, can potentially also be employed to plant information, to sabotage, hijack or abuse a computer, system or platform. For example, hi-tech monetary thefts where illicitly, money is transferred out of a victim’s account by a criminal perpetrator. How will Cyber Security be different in the era of the Brain Computer Interface? With increased ease and benefits of computing, where users only have to think to interface with any system built with the Brain Computer Interface capability or function, the risks will also increase. Where hacking limits a perpetrator to access data or information that is stored or passing through a device or system today, future hackers may or likely will figure a way, if not checked against, to manipulate or hijack systems, programmes or devices, to read or identify or detect thoughts of users, directly, without the users’ knowledge. Think of phone tapping or computer tapping in the present day and compare that with the prospect of direct brain tapping. One would ask how would it be possible? The same hardware or programme used to detect or read brainwaves or signals to enable a user to instruct or interact with the technological tool by thought, can be hacked, hijacked or manipulated to read the brainwaves or signals without the users’ knowledge by hackers, to virtually steal thoughts or knowledge. A hacker in the year 2025 can easily, if successful, decipher and acquire knowledge of who the user he or she is targeting knows, how they are connected, the intimate information that others should not be privy to for various reasons or that which can be used against the target, the target’s associates, the target’s organisation or a target’s country. With the Brain Computer Interface, the hacker is no longer limited in access to machines and systems, but rather has the potential, to access the minds of living individuals. When it comes to government or state employees, the Brain Computer Interface era hacking will be a national security nightmare, because a strategic security network of key personnel can be unravelled, personal passwords to security assets deciphered from minds of personnel using computers (what are the chances that they will not is a question that must be realistically asked) and the extent of knowledge an individual has of a nation’s security apparatus. Potential hackers will also be able to decipher thought trains and thought patterns, that may allow enemies of states to have an upper-hand and adversarial strategies. When it comes to commercial employees, ideas can be stolen from users, if they simply think of them while connected to a Brain Computer Interface device that happens to be compromised, before those ideas are implemented, with significant implications in terms of loss to competition. In terms of Intellectual Property rights, it will be a challenge to prove who the originator is, if a person acquired thought hacked information uses an ideal, model or design first claiming it to be his or her own. The most strategic information, that a corporation or a business would want to guard, could potentially be lost through any individual associated with it, via any number of devices collectively used by them, through such hacking. Imagine that your best and most strategic innovation being disrupted before it is pursued, because someone is able to out-think you, for unfairly having access to the thoughts of your people through hacking. Will Today’s Handicapped Become Tomorrow’s First Post-Human?